Botanique at Bartley is a brand new condominium being launched for sale by the UOL Group, on the city fringe. Within 4 minutes walk of Bartley MRT Station on the Circle Line. A delightful high-rise development with unblocked views overlooking low-rise estates on 2 sides. 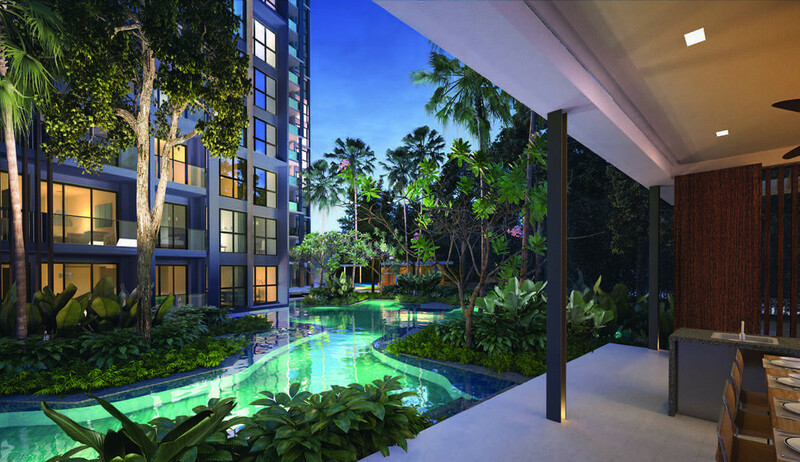 It is nestled within the long-time private residential neighbourhoods of Paya Lebar and Bartley, in a popular condo belt. Right next to Bartley Residences (100% sold out), diagonally opposite Bartley Ridge (97% sold), and 5 minutes walk from Maris Stella Primary & High School. The Botanique Bartley condo is developed by the UOL Group, following the highly successful launch of Seventy St Patricks, which sold 60% of its units within 2 weeks of its 20th September 2014 Preview. Part of this success can be attributed to UOL’s reputation for quality, and meticulous attention to detail. 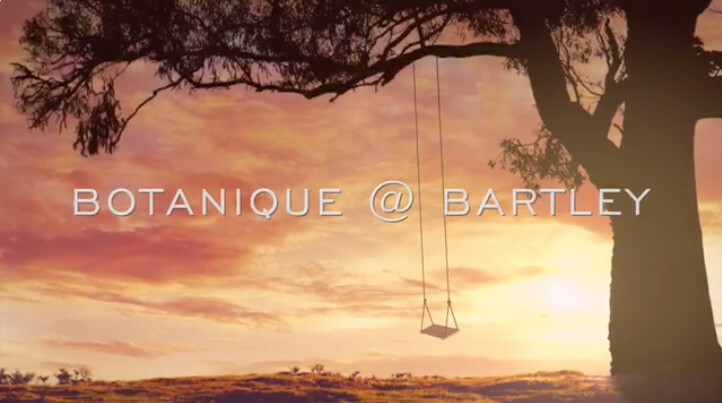 This is evidenced in the design concepts & architecture of Botanique at Bartley, with its well-thought out design features, functional floor plans, beautifully laid out landscaping & facilities, and quality of finishes. In fact, it’s looking very nice indeed. Come and view the show flat to see why we think you will like living here. Showflat is now open for viewing appointments. In a private residential estate, with unblocked views and wind flows on 2 sides. 4 minutes walk to a Circle Line MRT Station, that is just one connection to all the other MRT Lines. URA will be releasing a 4-hectare commercial site at Paya Lebar station for sale. Expected to yield up to one million square feet of “Grade A” nett lettable space, with offices taking up to 60% of that space. 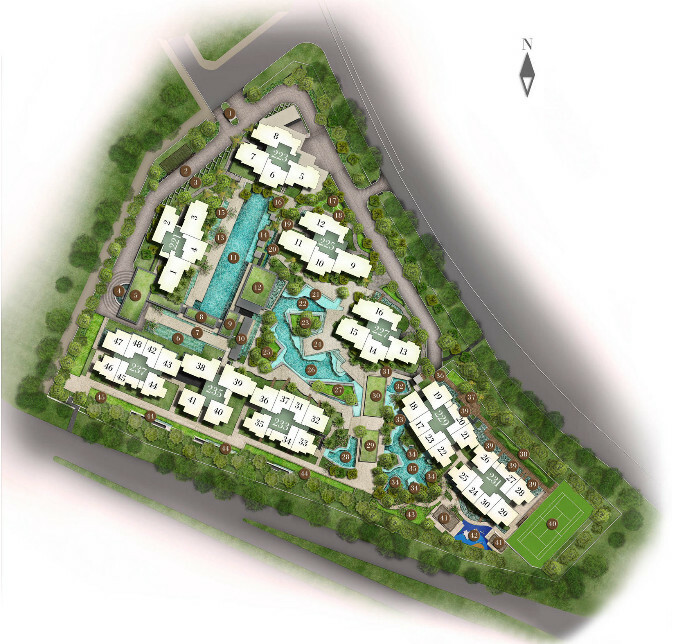 With this, and other similar sites to be released in future that will include hotels & retail centres, jobs & businesses will be created that will boost demand for housing and rental units in the vicinity. The Clematis condo is a new residential development in the Jalan Lempeng area that will be launching for sale soon, at the end of 2018. 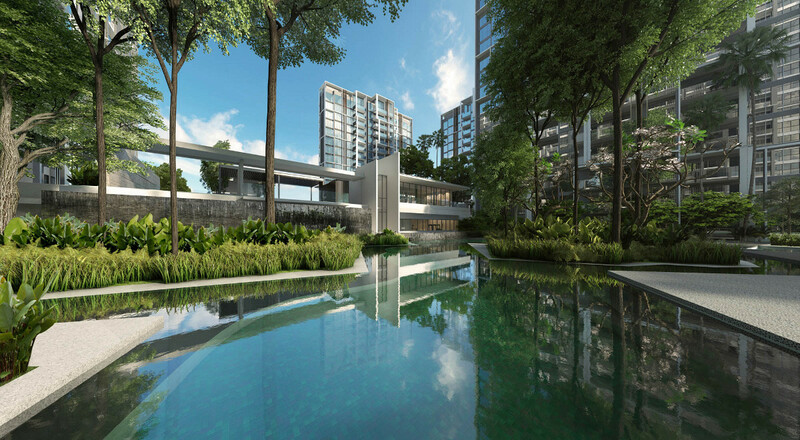 It will arise on the site of the former Park West condo, that was sold collectively en bloc to a SingHaiyi-led joint venture called Sing-Haiyi Gold. This collaboration is a 50-50 joint venture between SingHaiyi’s fully owned subsidiary SingHaiyi Land, and Haiyi Wealth, an entity owned by Gordon Tang and his wife Celine Tang. This is a very big site, spanning over 600,000 square ft. Sing-Haiyi Gold will develop Parc Clematis into a huge development, with around 1,500 apartments ranging from one bedders, all the way to 5 bedroom apartments, and a handful of penthouses. The range of facilities will be vast too. Another attraction of the Clematis condominium is that it is just across Jalan Lempeng from a top ranking primary school, the Nan Hua Primary School. Unlike the Maris Stella High school opposite Botanique at Bartley which is an all boys school, Nan Hua is a co-ed school. This makes it easier for families with young children, as both their sons and daughters can attend the same school. Apart from the sheer convenience of being able to just walk across within 5 minutes, it also means that once your oldest kid gets into the school, the remaining kids are practically guaranteed a place. 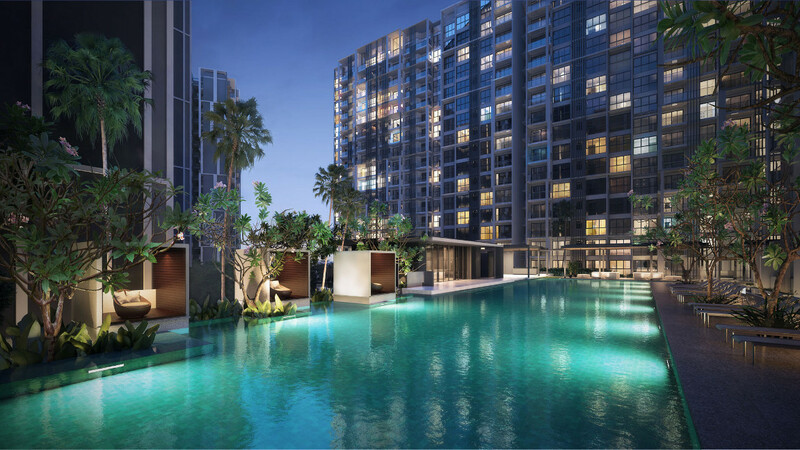 The Parc Clematis condo floor plan layouts and brochures are not ready yet, and neither has Sing-Haiyi Gold released any information on the pricing, nor on when the launch or VIP Preview will take place. However construction has commenced on the Clematis showflat, though this should take a while to complete. Contact us for further updates. This entry was posted in Botanique at Bartley | Botanique @ Bartley and tagged bartley condo, bartley new condo, Botanique @ Bartley, botanique at bartley, botanique bartley, botanique uol, condo, condo launch, developer uol, price, psf, show flat, showflat on August 28, 2018 by Reviewer.